In the immediate post World War Two Years, Blantyre man, Mr Fairley was a gardener at Greenhall Estate, High Blantyre. Residing at the Lodge at the entrance to the estate, he was left without possessions, when thieves broke in during August 1948 and stole his clothing and clothing coupons. The article was reported in The Sunday Post on 29th August 1948. Greenhall Lodge stood at the entrance to Greenhall Estate (now the park). The entrance is still at the top of the Road, above the Salveson Homes. 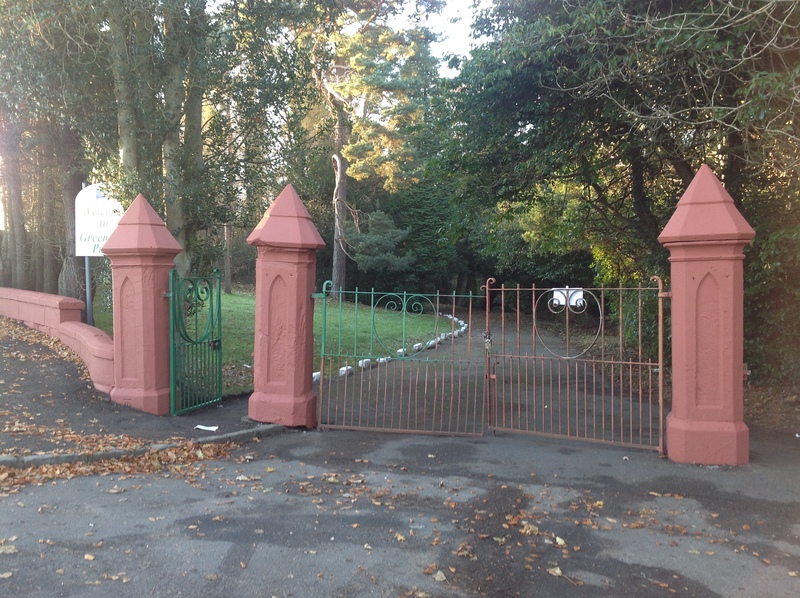 The entrance has recently been painted pink and green. The lodge, no longer there stood on the left hand side of the entrance. In the modern picture attached the lodge would have been behind the 2 pillars on the left on the small area of grass.